A is for Asher. Or is it Augustus? Ace? Axton? 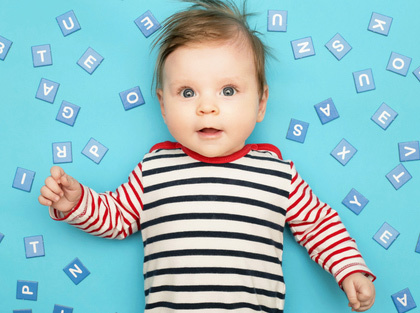 Name fashion has many faces, and we’re going to show them to you from A to Z. We’ve selected four boys’ names starting with each letter of the alphabet to represent current American baby name style: two traditional, and two contemporary. Traditional names build their impact off of deep roots and a sense of history, cultural connections, and continuity. Contemporary names take their spark from a sense of freshness, creativity, and the opening of possibilities. The choices weren’t always straightforward. While they sound like opposites, traditional and contemporary styles can be tricky to separate. Take the case of another “A” name, Atlas. As the name of a Titan of Greek Mythology, Atlas is age-old. But as an English-language baby name, its current burst of popularity is unprecedented and a symbol of our modern age of bold baby naming. In the end, we think our choices speak for themselves. If you read across, you’ll get a range of different options for your target initial. If you read down each column from A to Z, you’ll get a portrait of that specific quadrant of fashion. Together, they should give you a sense of where names are heading, and maybe help you find your own style sweet spot.